Jakarta, August 2018 – Archipelago International, Indonesia’s leading hotel operator, has been appointed by the Asian Games organizing committee INASGOC as the operator of the Athletes’ Villages in Jakarta and Palembang. The 2018 Asian Games villages provide accommodation for over 16,000 athletes spread over the two Athletes’ Villages with 6,000 rooms in Jakarta and over a thousand in Palembang (a larger number of athletes than the Olympics). Meeting the requirements set by INASGOC and planning for an effective management and oversight of the villages for the scale of this event has its challenges as the villages are in two different cities with Archipelago International utilizing the help and expertise of over 600 staff, support personnel, logistical, IT and Programming specialists to ensure the comfort and safety of all the guests staying at the athlete’s villages. “We’re delighted to be a part of history and working alongside INASGOC and all the various government departments has been a real pleasure and a great experience – everyone is really focused and totally committed to making the games a roaring success and making Indonesia proud. We’re all pulling together to make the villages a great place to stay – safe, comfortable and enjoyable – something they’ll remember for the rest of their lives. There will be athletes whose real victory was earning a place on their national team and reaching the games, so they look to soak up more of the atmosphere of the games – for others, however, being on the podium is the only thing on their mind. It’s part dormitory, part dining hall, part lounge; a place to prepare for the defining moment in any athlete’s life and a place to unwind or people-watch before or between competitions. It’s this kind of environment we are trying to create and plan to deliver”. Follow @ArchipelagoInternational on social media for more interesting news about our hotels across Indonesia and Malaysia. Download Archipelago Membership Apps to get special discounts when staying in our hotels, or simply use BOOKDIRECT promotional code for a guaranteed 10% off from best available rate! From August 18 to September 2, the 18th Asian Games will take place in Jakarta and Palembang. 45 countries from across Asia will compete in 45 different sporting events such as jet ski, paragliding, and roller sport. Beside Jakarta and Palembang, several areas such as Bekasi, Sentul, Subang, Cirebon, and Bandung will also take part in hosting the sport events. The opening ceremony of the 18th Asian Games will take place on August 18, 2018 at Gelora Bung Karno Main Stadium in Jakarta. Asian Games tickets can be purchased via the Games official website, asiangames2018.id, and will be handled by Kios Tix ticketing management system. 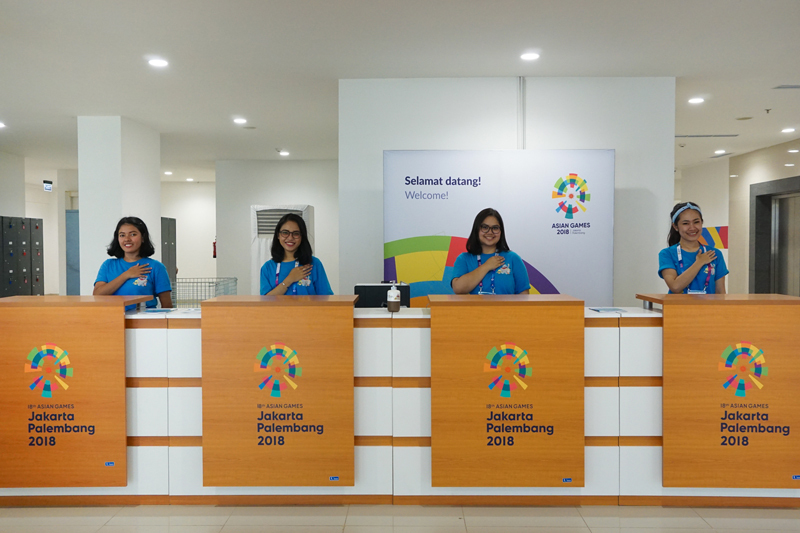 Alternately, tickets can be purchased directly at selected counters and pop-up merchandise stores for the Asian Games in a number of shopping malls in Jakarta as well as in Palembang.